Woodcliff Lake, NJ (October 17, 2018) – BMW Motorrad USA has introduced www.shopbmwmotorcycles.com, an online platform that enhances the shopping experience for BMW motorcycle parts, accessories, and gear. 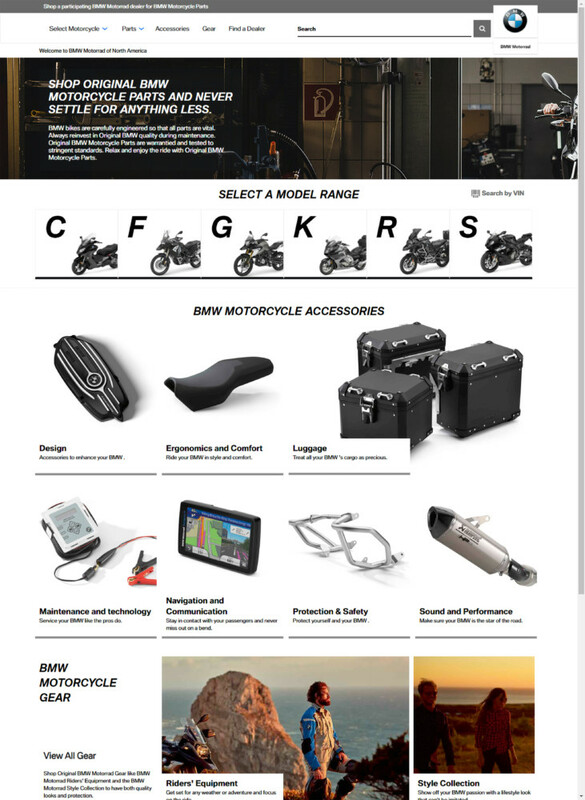 The new e-commerce site gives shoppers easy access to a full and up-to-date range of BMW Motorrad parts, accessories, apparel, product information, fitment, images, videos and pricing with just a few clicks on their desktop or mobile devices. Easy-to-navigate shopping categories: model, accessories, parts, gear. Product page fitment confirmation, allowing customers to confirm or change vehicle fitments throughout the shopping process. In-page assembly viewer with product assembly notes, diagrams and images. Search options by part number, keyword or VIN for compatible parts. Individual purchases are fulfilled through BMW’s network of authorized dealers through geolocation or customer preference.